Hello ski and snow lovers! And the lovers who are in love, or about to fall in love ? We will have 3 full days in Kars-Sar?kam??. Kars is a very old cultural city with UNESCO protected Ani ruins, very charming city center and historical landmarks. 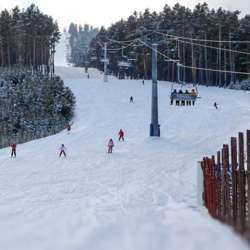 Sarikamis is a mountain town/ski center 45 min away from Kars that has one of the best natural snow quality in the world. Hotel: Protected content last March we stayed there and it is a great hotel, good food, location is perfect. Good service. It's ski room is large and it has good selection of rentals with reasonable prices. The lift is right in front of the hotel that will take you to endless skiing ? everyday which is included in the package. —bus service to Cildir lake which will be frozen. We can sleigh ride on it (sleigh ride is extra). Please reserve your spot soon as we have only 5 rooms available. Also the plane tickets are going up! !